Getting off the couch to do something different and change behaviour is the focus of Karen Pine’s presentation at the Chinwag Psych conference on 9th May 2013 in London. 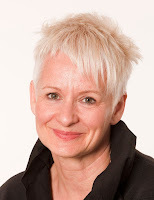 Karen Pine, professor of developmental psychology at the University of Hertfordshire and co-author of Flex: Do Something Different, will be sharing her research on how making small positive changes can trick the brain into shifting gear. Humans can only grow and develop by increasing their behavioural flexibility. But how can we change and expand our behaviour when our unconscious brain is a habit machine designed to turn us into coach potatoes? The Chinwag Psych conference covers psychology, neuroscience and machine learning for business and marketing - bringing together academia and business to explore how these techniques can be used in business and make complex topics accessible for marketers and their organisations.